At Opal Access, we believe the importance of gaining trust and not expecting it. We adhere to a strict ethos, which is to achieve the highest standards of excellence. Our estimates are broken down into individual costs without any hidden charges. Opal Access promise to never outsource work and pass these savings onto our clients. 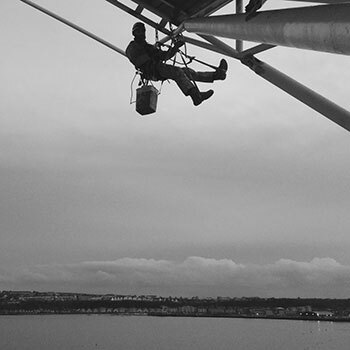 Opal Access offers a range of specialised rope access services, with work carried out by appropriately qualified personnel working throughout the UK and Europe. 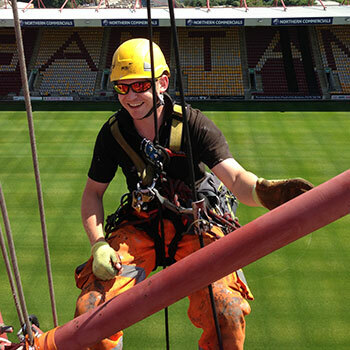 Opal Access Rope Access Services offer advanced solutions to access difficult locations for inspection, maintenance and mechanical activities. Traditional access methods such as scaffolding, crane baskets and Mobile Elevating Work Platforms dramatically increase project timelines, the risk to personal and of course expense to projects. Opal Access teams are chosen for their technical expertise, positive attitude and commitment to excellence. 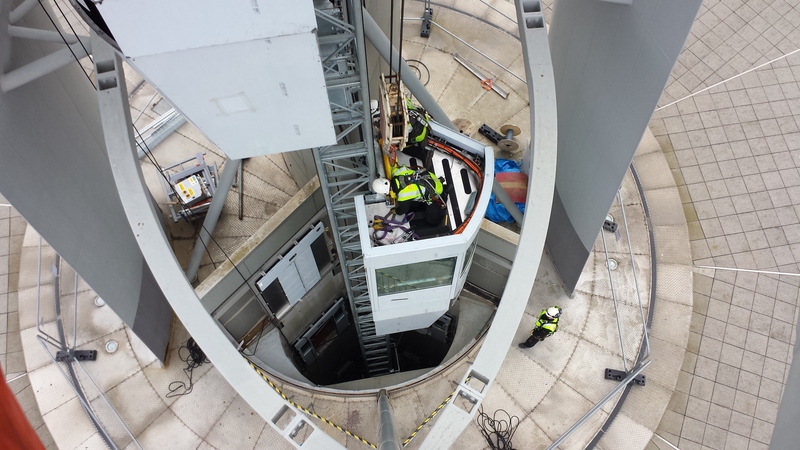 All team members are fully qualified IRATA personnel with extensive experience and technical training in rope access, specialised maintenance and inspection techniques. 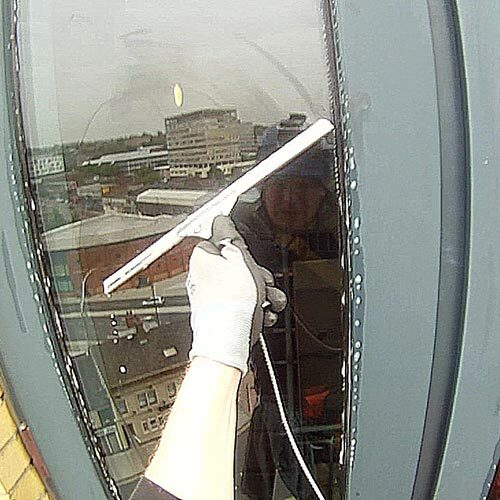 Opal Access specialises in Rope Access window cleaning for many clients in the UK. We guarantee quality, safety and advanced solutions for difficult to access situations. All our equipment is of the highest quality and checked in keeping with government standards (Loler) and works conducted to the highest of professionalism. Advancements in industrial paints and more stringent preparation standards have meant that painting has become a much more skilled operation, one that Opal Access carries out to highest industry standards attainable. Our painting services include shot blasting, rust removal, paint testing and paint application. 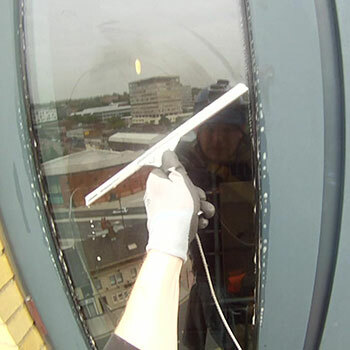 Opal Access specialises in window cleaning for many commercial and residential clients in the UK. 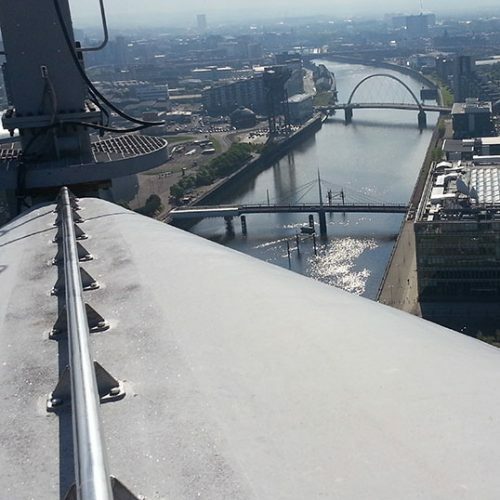 We use a variety of methods such as Rope access, Reach and Wash (pure water fed pole systems) and the traditional mop and blade. We guarantee quality, safety and advanced solutions for difficult to access situations. All our equipment is of the highest quality and checked in keeping with government standards (Loler) and works conducted to the highest of professionalism. 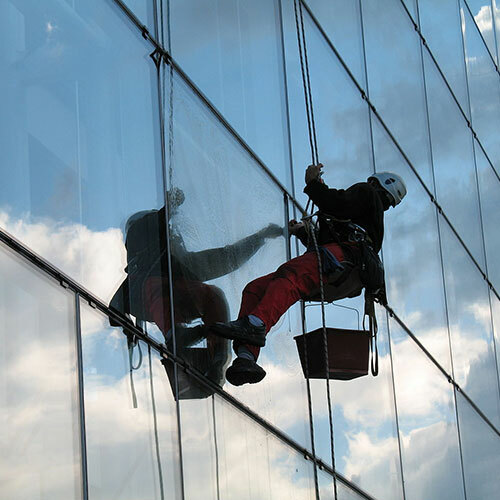 Our Opal Access window cleaning team delivers unparalleled safety and service for high rise window washing, frame cleaning, surface maintenance and building cleans. 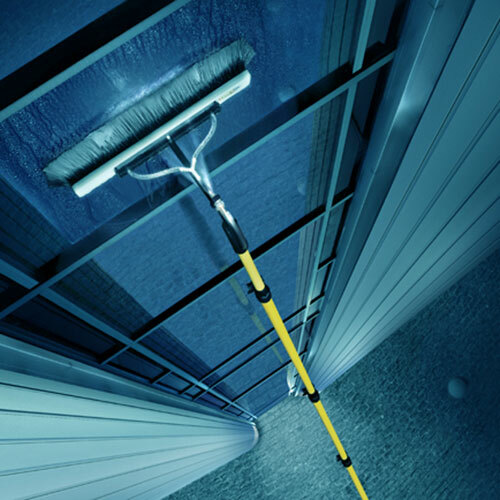 Reach and Wash or the Pure Water Fed Pole system is a quick and therefore cost effective method of cleaning up to 50 foot windows. We don’t use chemicals so it is a very eco-friendly and due to the speed we can complete works, non-disruptive to businesses and residential clients. Rope Access is a safe, fast and versatile method of accessing high-rise or difficult to access windows. Used together with Reach and Wash systems, Opal Access can complete jobs in the minimum possible time saving our clients’ money and decreasing any disruption to their working day. Opal Access provides cost effective solutions for clients in need of building inspections, general maintenance and repairs. We offer safe cost effective and non-disruptive services. Adherence to all IRATA and Government health and safety regulations. Technicians are independently certified by the Industrial Rope Access Trade Association. All technicians are rescue trained. Opal Access Limited in based upon reliability, punctuality and quality driven services, operating 24 hours a day, 7 days a week with a promise to deliver superior solutions on demand, on time, whenever needed. 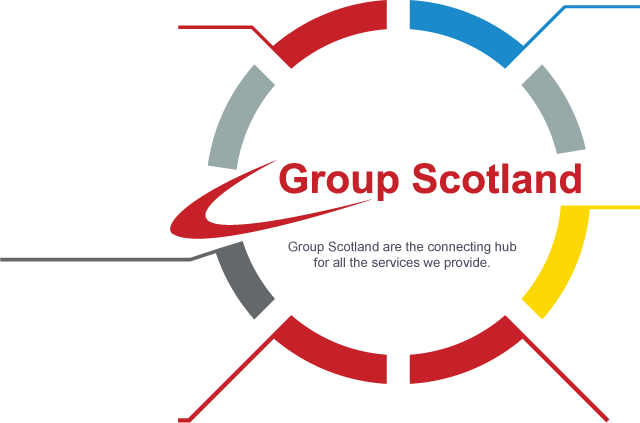 We are part of Group Scotland: Group Scotland is an internal resource for all Group Scotland products and services which require skills and equipment. Group Scotland was created to find the best personnel who are experts in their respective field of work or give the most deserved the chance to become the best at what they want to be. 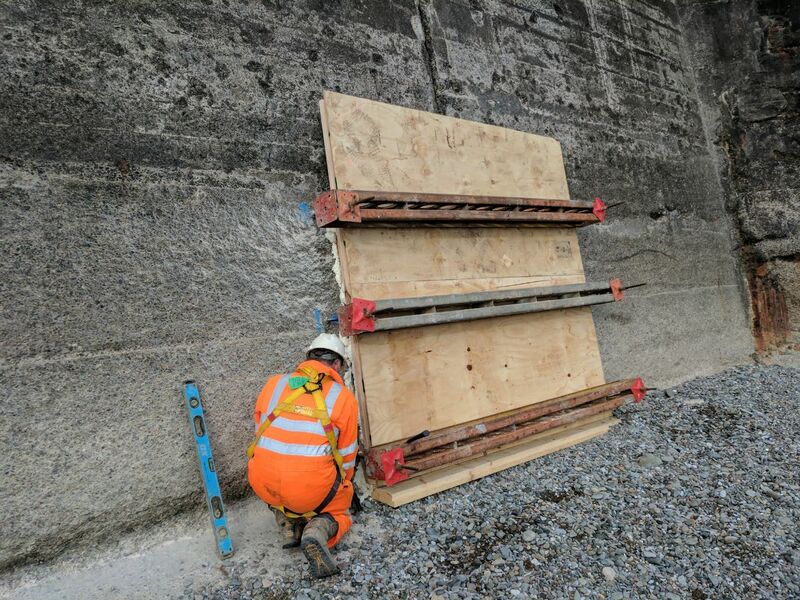 Group Scotland also source the finest equipment to get the work done to the highest standard and is a portal link to our other Group Scotland companies. Opal Creative provide innovative design solutions specialising in Hospitality Design, Retail and Exhibitions. 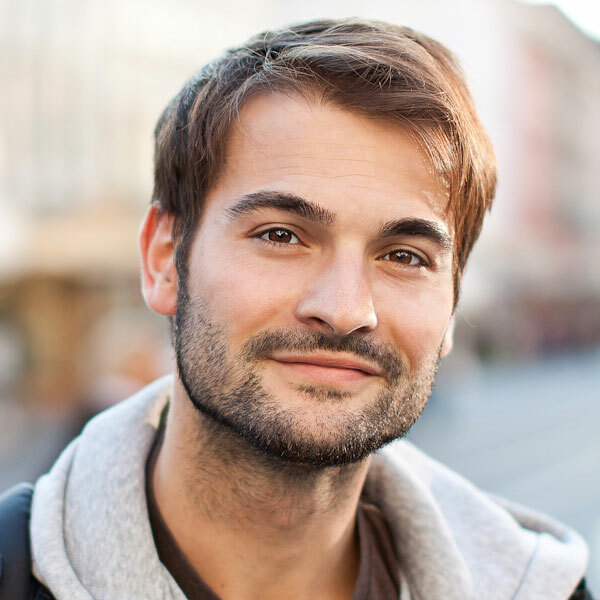 Training Scotland specialises in offering training in the Scottish Certificate for Personal Licence Holders as well as a number of security industry qualifications. Security Scotland is recognised as the UK’s fastest growing crowd management and security providers with the relevant experience in every aspect in the provision of security services and event safety personnel to some of UK’s most recognisable companies. 1st Corporate Security delivers the highest quality customer service to leading shopping destinations and have the depth of knowledge and experience to provide high levels of service delivery within this demanding retail environment. Cleaning Scotland is one of the largest independent cleaning companies in the country supplying cleaning services to some of the Uk's best-known brands. What Can Opal Access Do? Opal Access carry out a huge variety of solutions and an example of our most popular services are below. There are however many which may not be mentioned on this site so please don’t hesitate to call if you have any questions. We strive to achieve client satisfaction, delivering a service which goes above and beyond expectation. All our business is acquired from recommendation, this goes to show the level of trust our client’s place in our ability. Opal Access provided us with our access solutions on time, within budget and to the highest of professionalism. I would highly recommend them to anyone in need of Rope Access height work. Opal Access provides advanced access and service solutions saving our clients time and money by reducing downtime and maximising productivity through rope access. We are an ISO: 9001 : 14001 :18001 accredited company. Website by iDomains. All rights reserved.